Too small? Click the button on the lower right for full screen. Future classes only available inside EmpathSolutions.com – we’ll email you when they become available. This entry was posted in -Empath Solutions & Tools and tagged clean negative energies, clear negative energies, empath, empaths, highly sensitive people, highly sensitive person on September 18, 2013 by EmpathSolutions. Simple tip to reduce stress by Jeff Hopeck, a 3 Year U.S. Secret Service Veteran, Author and Speaker –who has dedicated his life to helping people eat healthier. Walk through this quick process with him and learn how to reduce stress in your life. STRESS KILLS. Right now is the time to learn ways of reducing stress in your life. Tomorrow may be too late. Stress comes in all forms: Elevated heart rate, high blood pressure, chest pains, and even nervousness. Find a comfortable position (preferably seated or laying down) where both your mind and body are relaxed. For some, this is sitting in a chair and for others it’s laying down- either way, this first step is critical. For best results, try to avoid standing. Once you have the hang of the 4:8 ratio, start focusing on your muscles relaxing as you exhale. Start with your arms, your fingertips, then your quadriceps, your neck, even feel your calves and ankles relaxing. Inhale, then exhale… feel your muscles literally open up like sunflowers and relax. It really works! It’s important to keep your stress levels to a bare minimum- your life depends on it. This entry was posted in -Daily Care Tips For Empaths, -News and tagged breath meditation, breath work, breathing technique, clearn your mind, comfortable, control your temper, empath, exhale, highly sensitive person, how to handle stress, how to relax, how to stay calm, how to stay focus, inhale, Jeff Hopeck, meditate, muscle relax, relax, simple stress reduction tip, staying focus, stress reduction on April 9, 2011 by EmpathSolutions. Are you the #1 Priority on Your List? It’s crucial we make our health and well-being our number one priority. Why? Because many of us are busy taking care of others needs first while completely ignoring our own needs. If this becomes a habit, it’s easy to start feeling resentful (even towards the people we love). We can feel like no one truly appreciates us after giving and giving till there was nothing left for us to give. When we are feeling great and in our optimal state of well-being, things flow easily. Giving become more effortless. Time sort of flies by. Many individuals can tap into this state of being when they are doing what they enjoy. When you give after taking time off for yourself, you can give from a place of abundance and love. Others can feel the difference. Many empaths and highly sensitive people feel selfish when they take time off to take care of themselves. This is cause for concern because we are wired different than the average Joe. If we don’t take care of ourselves, we can’t effectively do what we’re here to do…but we’re not exactly wired to take care of ourselves first. Yes, we are called towards tasks that require priority attention over our own needs but as an empath or highly sensitive person (HSP) it is vitally important we continue to take care of ourselves each and every day so we can contribute to the world as we are called. 1. Drink lots of clean pure water to hydrate your body and keep it functioning at its optimal. Water cleanses and purifies your body giving you sharp mental clarity. Trust me, you’ll be a happier person with a well hydrated body. 2. Exercise regularly. Taking care of your physical body. Get moving. 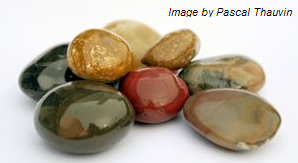 This helps you move out old energy and bring in fresh new energy. Like water, movement is extremely vital for your well-being. 3. Eat healthy nutritious meals. Consume plenty of dark green leafy lettuce and vegetables. Note: Many empaths and HSPs find eating things that are grown closely to or below ground to be very grounding for them. Some examples are potatoes, yams, carrots, peanuts, squashes, pumpkins, and broccoli. And also some find eating red meat to be grounding for them. Overall, just eat well balanced meals throughout the day. 4. Feel your emotions. Process them as they come up. Don’t just shove it down and bury it. When you do, you actually become more and more numb and disconnected… And it’s not always easy to feel your feelings but do it anyway. These energy in your body needs to be move and transformed. I promise, you’ll feel better, lighter, and cleaner afterward. 5. Talk with positive individuals. Just immerse yourself in their positive energy by being in proximity or enjoying a nice conversation. This also does wonders –for we humans are social creatures. 6. Get some fresh air and sunshine. You can’t elevate your mood as easily when you are stuck inside a building. You are a living breathing creature who needs to be connected to nature –not hidden inside some concrete building with artificial light and air. So go outside. Breathe. And bask in the warm sunshine. 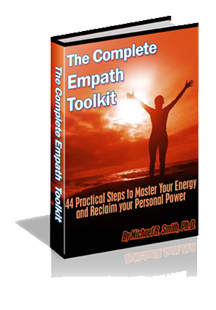 For more solutions & techniques for Empaths and Highly Sensitive People, I invite you to check out Dr. Michael R. Smith’s eBook, The Complete Empath Toolkit: 44 Practical Steps to Master Your Energy and Personal Power. 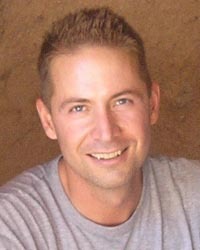 This entry was posted in -Daily Care Tips For Empaths, -News and tagged 44 Pratical Steps to Master Your Energy and Personal Power, clearing negative energy, daily care tips for empath and highly sensitive individuals, Dr. Michael Smith, empath, empath solution, empaths, energy sensitive people, feeling disconnected, getting rid of negative energy, highly sensitive individual, highly sensitive person, how to keep a high vibration, how to raise my vibration, how to rid myself negative energy, how to take care of yourself as an empath, hsp, negative energy, The Complete Empath Toolkit, tips for highly sensitive people, www.empathconnection.com on February 21, 2011 by EmpathSolutions.